Life is Good, the Boston-based lifestyle brand, is teaming up with Camp Southern Ground, the passion project of three-time GRAMMY winner Zac Brown, at Hangout Music Fest. 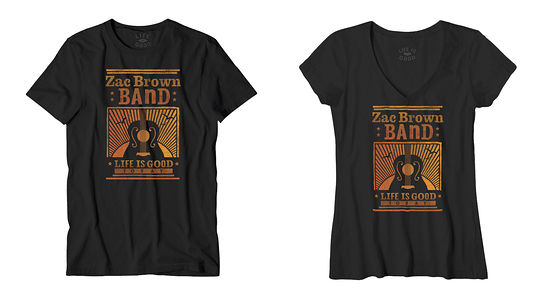 The partnership will offer a limited-edition t-shirt with the Zac Brown Band lyrics, “Life is Good Today.” The shirt is given with gratitude for your gift of $35 to The Life is Good Playmakers and will support Camp Southern Ground. All of the counselors and adults who work with kids at the summer camp will be trained and certified as a Playmaker, so they can continue to help kids of all abilities and backgrounds have the happy childhoods they deserve. Playmakers is Life is Good’s nonprofit arm that trains childcare professionals to use playful engagement as one of the most meaningful ways to make a lasting, positive impact on the lives of kids in need. 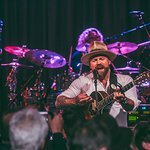 Nestled on over 400 acres in the farmlands of Fayetteville, Georgia, Camp Southern Ground, a 501c)3 non-profit organization, is the passion–project of GRAMMY Award winning artist Zac Brown. Inspired by his own experience as a camp counselor, Zac’s vision is to create a state-of-the-art facility that will serve children ages 7-17. Hangout Music Fest attendees – and anyone who wants to give and get – can text 4GOOD to 77948 to make a donation and reserve their exclusive “Life is Good Today” t-shirt.